A tiny bit of autumn has arrived, thanks to Albertson's. 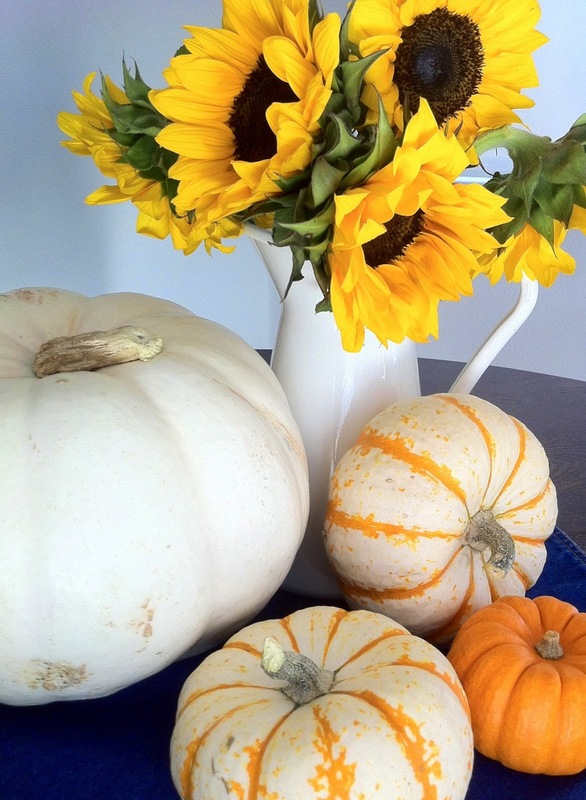 I planted various pumpkins (white, heirloom, etc) hoping to have some beautiful additions to my fall decor. Some plants grew…some pumpkins started to grow…but none survived. Something kept breaking them off the vine. So, I am happy to have spotted these at my local grocery store. They make a cute centerpiece for my tiny kitchen table.